When in 2010 we started dealing with vodka brands from the CEDC portfolio Soplica was dealing with image problems typical for an ageing brand. Our answer was a re-interpretation of the tradition which stands behind the brand name. And the effect of our work – a Soplica identity based on backwater nobility traditions and the craftsmanship of creating flavoured vodka. The new brand concept became an inspiration for restyling the packaging, as well as a guideline for expanding the portfolio (the strategy was based on flavour variants). The concept was also translated to brand communication, while the brand essence – “wódki takie jak kiedyś” [vodka as it used to be] – became its main advertising slogan. 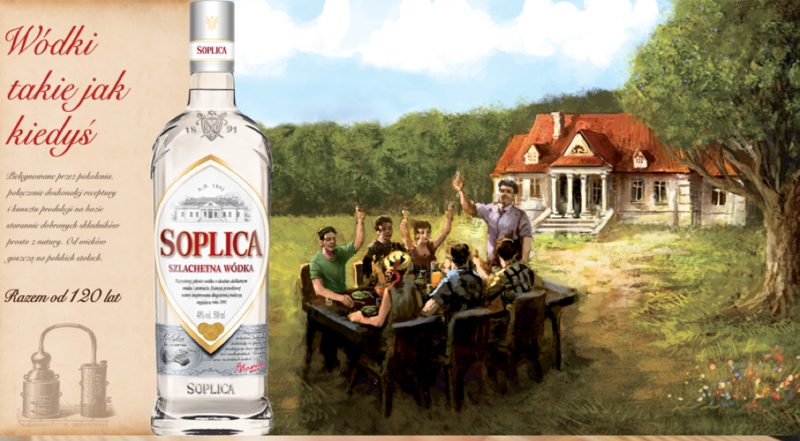 Relaunching the brand resulted in record sales, which currently place Soplica in fourth place in the category.